For other uses, see Diocese of Worcester. Pope Pius XII erected the diocese on January 14, 1950, with territories taken from the neighboring Diocese of Springfield. The fifth and current bishop is Robert Joseph McManus. The Roman Catholic Diocese of Springfield in Massachusetts is an ecclesiastical territory or diocese of the Roman Catholic Church in the New England region of the United States comprising the counties of Berkshire, Franklin, Hampshire, and Hampden in the Commonwealth of Massachusetts. Timothy Joseph Harrington was an American clergyman of the Roman Catholic Church. He served as Bishop of Worcester from 1983 to 1994. George Edward Rueger is a retired American prelate of the Roman Catholic Church who served as Auxiliary bishop of the Diocese of Worcester, Massachusetts from 1987 to 2005. Michael Wallace Banach is a Diplomat of the Holy See. In 2004, Bishop Reilly grouped parishes into "clusters". The purpose of this system is to allow communities to come together for regional events. Also, priests may substitute for one another at a particular parish. St. Brigid Millbury Rev. Daniel R. Mulcahy, Jr.
Holy Name Central Catholic Junior Senior High School is a private, Roman Catholic high school in Worcester, Massachusetts, USA. It is located in the Roman Catholic Diocese of Worcester. Immaculate Heart of Mary School is a private, Roman Catholic school near Harvard, Massachusetts. Magnificat Academy was a Catholic middle school and high school located in Warren, Massachusetts, which opened in 2005 in the Parish Hall and Rectory of St. Paul Church with 20 students. It was operated independent of the Roman Catholic Diocese of Worcester. The Roman Catholic Archdiocese of San Francisco is an ecclesiastical territory or diocese of the Catholic Church in the northern California region of the United States. It covers the City and County of San Francisco and the Counties of Marin and San Mateo. The Archdiocese of San Francisco was canonically erected on July 29, 1853, by Pope Pius IX and its cathedral is the Cathedral of Saint Mary of the Assumption. The Metropolitan Archdiocese of Baltimore is the premier see of the Roman Catholic Church in the United States. The archdiocese comprises the City of Baltimore and 9 of Maryland's 23 counties in the central and western portions of the state: Allegany, Anne Arundel, Baltimore, Carroll, Frederick, Garrett, Harford, Howard, and Washington. The archdiocese is the metropolitan see of the larger regional Ecclesiastical Province of Baltimore. The Roman Catholic Archdiocese of Chicago was established as a diocese in 1843 and elevated to an archdiocese in 1880. It serves the more than 2.3 million Catholics in Cook and Lake counties in Northeastern Illinois, in the United States, an area of 1,411 square miles (3,650 km2). The archdiocese is divided into six vicariates and 31 deaneries. The Roman Catholic Diocese of Sioux City is the Roman Catholic diocese for the northwestern quarter of the US state of Iowa. The diocese comprises 24 counties in northwestern Iowa, and it covers an area of 14,518 square miles (37,600 km2). The See city for the diocese is Sioux City. It is a suffragan see of the Archdiocese of Dubuque. The cathedral parish for this diocese is the Epiphany. R. Walker Nickless was ordained as bishop of Sioux City on 20 January 2006. The Roman Catholic Diocese of Charleston is an ecclesiastical territory or diocese of the Roman Catholic Church in the southern United States and comprises the entire state of South Carolina, with Charleston as its see city. Currently, the diocese consists of 92 parishes and 24 missions throughout the state. It is led by the Most Rev. Robert Guglielmone, the Thirteenth Bishop of Charleston, who serves as pastor of the mother church, Cathedral of Saint John the Baptist in the City of Charleston. Its first bishop was John England. Charleston is a suffragan diocese of the Archdiocese of Atlanta. The Archdiocese of Portland in Oregon is an archdiocese of the Roman Catholic Church in the Pacific Northwest region of the United States. It encompasses the western part of the state of Oregon, from the summit of the Cascades to the Pacific Ocean. The Archbishop of Portland serves as the Ordinary of the archdiocese and Metropolitan of the Ecclesiastical Province of Portland whose suffragan dioceses cover the entire three states of Oregon, Idaho, and Montana. The dioceses of the province include Baker, Boise (Idaho), Helena, and Great Falls-Billings. The Diocese of Winona-Rochester is the Roman Catholic diocese which ministers to the people of southern Minnesota. The diocese includes Blue Earth, Cottonwood, Dodge, Faribault, Fillmore, Freeborn, Houston, Jackson, Martin, Mower, Murray, Nobles, Olmsted, Pipestone, Rock, Steele, Wabasha, Waseca, Watonowan, and Winona Counties. Bishop Randolph Roque Calvo, DD, JCD is the seventh Bishop of Reno, consecrated to the episcopate and installed as ordinary on February 17, 2006. At the time of his episcopal appointment by Pope Benedict XVI, on December 23, 2005, he was a priest of the Roman Catholic Archdiocese of San Francisco. 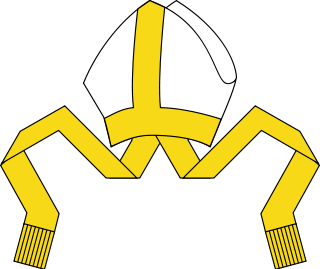 The Apostolic Vicariate of Brunei Darussalam is a Roman Catholic ecclesiastical jurisdiction covering the territory of Brunei and headed by an apostolic vicar, currently Bishop Cornelius Sim. The Roman Catholic Diocese of Tyler is a Roman Catholic diocese in Texas. The episcopal see is Tyler, and the Cathedral of the Immaculate Conception in Tyler is its mother church. The Diocese of Tyler is a suffragan diocese of the Archdiocese of Galveston-Houston. The Roman Catholic Diocese of Norwich is a Roman Catholic ecclesiastical territory or diocese in Connecticut and parts of New York. It was created on August 6, 1953 by Pope Pius XII. The Roman Catholic Diocese of Allentown is a Latin rite diocese in the ecclesiastical province of the Metropolitan Roman Catholic Archdiocese of Philadelphia in the Eastern United States. The Roman Catholic Diocese of Pasig is the diocese of the Latin rite of the Catholic Church in the Philippines that comprises Pasig City, Pateros, and Taguig City in Metro Manila, Philippines. It was established by Pope John Paul II on June 28, 2003 by virtue of the Papal Bull Deus Caritas. It was formally and canonically erected on August 21, 2003, with the installation of Most Reverend Francisco C. San Diego, DD as its first bishop. The Immaculate Conception Parish, located in the central vicinity of Pasig, was made the cathedral or the seat of the diocese. The Roman Catholic Diocese of Ilagan is a diocese of the Latin Church of the Catholic Church in the Philippines. It was erected on 31 January 1970 from territory of the then Roman Catholic Diocese of Tuguegarao and it covers the entire civil province of Isabela. It is a suffragan diocese of the Roman Catholic Archdiocese of Tuguegarao. The Roman Catholic Diocese of Antipolo is a diocese of the Latin rite of the Roman Catholic Church in the Philippines that comprises the Province of Rizal and the city of Marikina in Metro Manila. The Roman Catholic Diocese of San Jose in the Philippines is an ecclesiastical territory or diocese of the Latin Rite of the Roman Catholic Church in the Philippines. The Roman Catholic Diocese of Cabanatuan is a diocese of the Roman Catholic Church in southern Nueva Ecija province in the Philippines. The diocese comprises 16 towns of the province including the cities of Cabanatuan, Palayan and Gapan. The diocese is a suffragan of the Archdiocese of Lingayen-Dagupan. ↑ "Office of Pastoral Planning" (PDF). Diocese of Worcester. Archived from the original (PDF) on September 28, 2007.